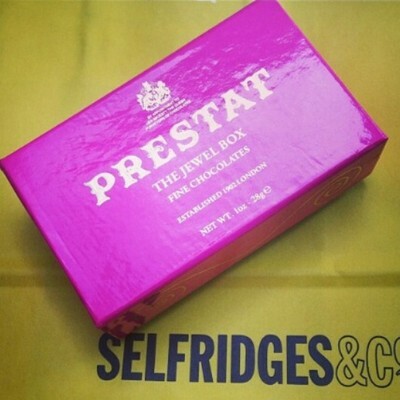 The Prestat Jewel Box, is a true delight to receive, which is exactly what happened to me, when my friend gave me a leaving present. They're called 'jewels' because inside the pretty box, is an array of darling truffles, each pretty, perfect and uniform in shape and size. They taste exceptional, with creamy, buttery, and deep notes across the range of milk, white and dark chocolates inside. I received these in a Selfridges bag, so I assume you can only buy them from there - I haven't seen these in the supermarket, and they are quite a luxury product. I really don't drink, but I do like alcoholic chocolate. 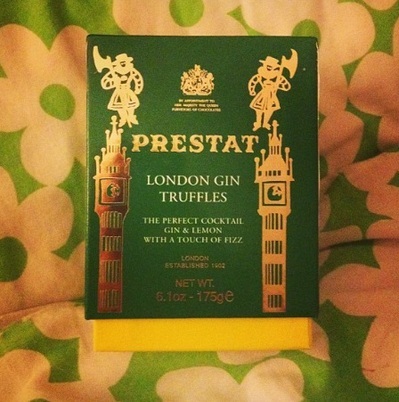 Prestat's London Gin truffles are strong, but very very good. They're not too big, and one is just enough to satisfy your sweet tooth (and maybe alcoholic tendencies). Although they're quite alcoholic, the lemony gin works perfectly with the milk chocolate, and when coupled with a hot chocolate, they're a delicious evening treat.